Have you ever been at a gig or a jam session and someone called a tune that you used to know but just couldn’t seem to remember anymore? If this happens to you don’t worry! You are certainly not alone. There are so many tunes out there to learn and sometimes it can be overwhelming! But since we are all students of the music and striving to get better at our craft, it’s important to pinpoint where the problem lies. It’s usually not because you have a bad memory, it’s how you learned the tune in the first place. 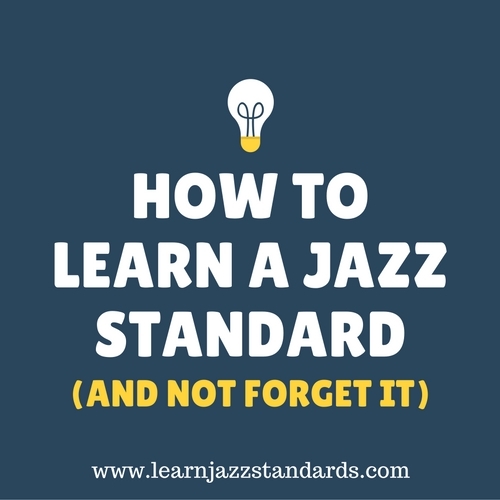 In past articles we’ve often talked about why you should learn jazz standards but it’s not often that we have talked about how you should learn them. That would be some important information to know, right? The deciding factors of whether you absorb a piece of music or not are influenced by how you first learned it and how you continue to maintain it. 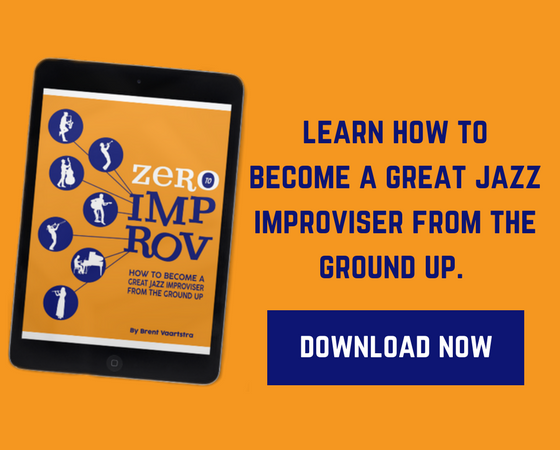 Over the years, I’ve observed my students and fellow musician friends engage in a string of bad habits that have often set them up for failure. To be honest, I’ve fallen into many of the same traps they have from time to time, but of course failure is the best way to learn how to do things correctly! 1. Don’t learn it until you’ve listened to it. 2. Learn it from recordings not a fakebook. This is a big one because so many musicians seem to make this mistake. 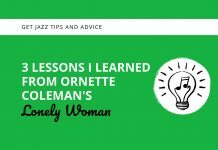 Learning a tune solely from a fakebook or sheet music is like eating fast-food instead of waiting for a gourmet feast: It’s going to fill your stomach quickly and feel good for a moment but the feeling won’t last and you’ll feel terrible in the end. Don’t take the “easy” way out! I’m not saying you should throw your fakebook away, in fact it can be a great tool for helping you learn a song. However, if you depend on it as your primary source of learning a tune it’s likely you won’t ingrain it into your memory. Instead, look to the recordings for help. Listen to lots of different versions and learn the chord changes and melody from them. 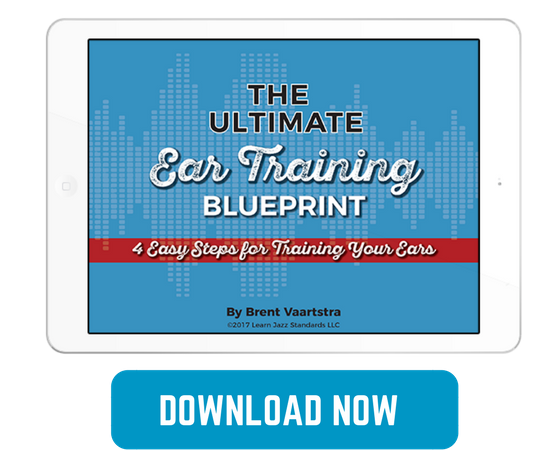 It will force your ear to work hard but it will produce excellent results! Once you’ve learned the song by ear feel free to check your findings with a fakebook. Just remember this: Just because it’s on a piece of paper doesn’t mean it’s correct. 3. If you can sing it, you can play it. This one goes back to listening. 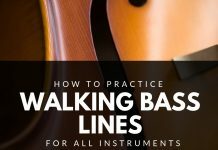 Familiarize yourself with the tune before learning it. Before you learn the melody on your instrument be sure that you can sing it first. Why? If you are able to sing it, that means it’s in your ear and in your head. If you’re a singer you won’t have any trouble with this, but if you’re an instrumentalist you are at risk. Learning something on your instrument doesn’t necessarily mean you can hear it. Often times muscle memory kicks in instead of the ear. Have you ever been going about your day and suddenly a song from your childhood randomly pops into your head? It was so stuck into your subconscious that even though you hadn’t heard it in a long time, it still came back to you. Make the standards you learn do the same. 4. Always learn the harmony and the melody. This probably seems like a no-brainer but let’s be honest, this doesn’t happen all of the time. It’s not good enough just to know the changes. The melody informs what the song is about so how could you leave it out? A classic example is a blues. There are a lot of different blues songs but what makes them all different: the melody. The melody of a song should be informing you how you play the song both while accompanying (if applicable) and soloing. Knowing the melody as well as the harmony will increase your chances of keeping the song in your database. Bass players and drummers aren’t the only ones guilty of this. Guitarists, pianists, horn-players and others are as well! 5. Learn it because you like it. We all know this isn’t always possible. Sometimes we need to learn songs for particular gigs or because we know other musicians who call them a lot. However, in my experience when I learned tunes because I had to rather than wanting to, they didn’t stick. It’s always best to learn songs that you truly love and will actually care about remembering. Those are the tunes you should try to focus your time on if you can. 6. Play it all of the time. This makes sense right? If you want to continue remembering a song you have to do some maintenance. 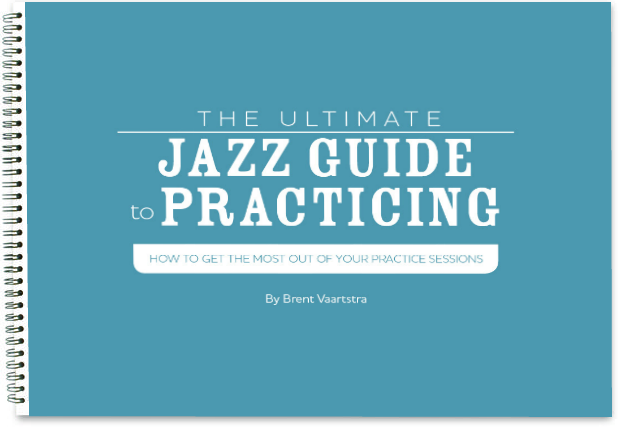 This means you need to be calling it at all of your jam sessions, gigs and practicing at home. If you don’t continue to refresh your memory you diminish your chances of keeping it with you. Repetition and experience is key. There are many songs in my repertoire that it doesn’t matter how long it’s been since I’ve played them, I will always remember them. This is only because I listened to them a lot, can sing the melody without my instrument, learned the harmony and melodies by ear, love playing them, and at some point was consistently playing them all of the time. Do all of these things and I’m sure you’ll remember a lot more tunes! Because I could not read sheet music when I was young (13), I started my "career" as a saxophone player just like this. Listening, trying to play, playing a long, etc. From 16 years onwards I played in a jazz band, just trusting on my ears. Now I can read music I still trust most on my ears.